Lockout-tagout (LO/TO) safety procedures, as defined by Occupational Safety and Health Administration (OSHA), require that lockout devices be durable and standardized. Lockout devices use color, warning labels or tags, and a physical barrier to temporarily prohibit machine operation or power activation, and reduce accidents, during maintenance or repair. 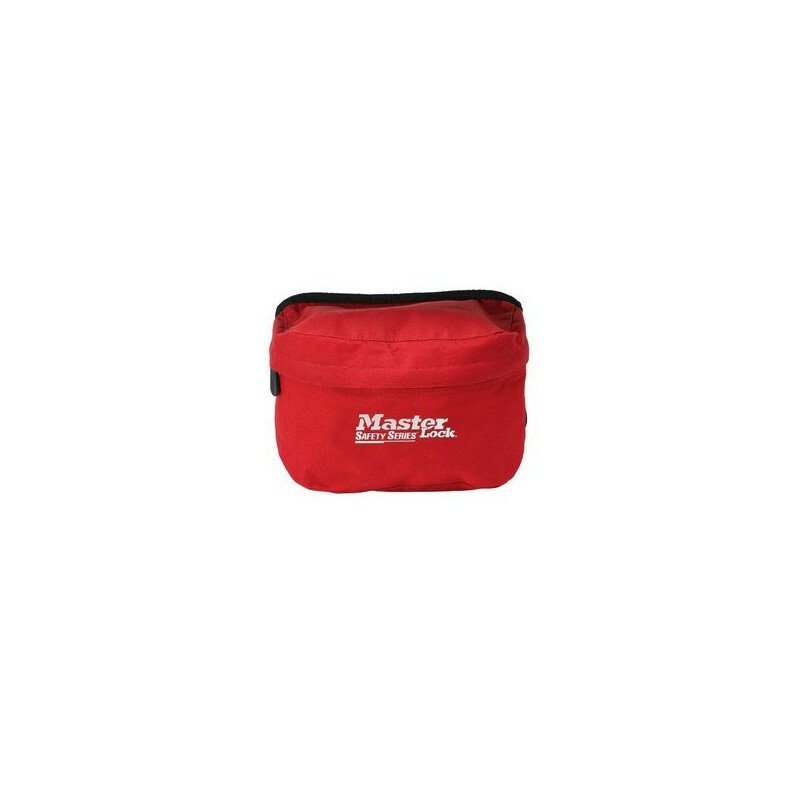 This compact lockout pouch is made to hold an assortment of supplies needed to perform an electrical lockout.